Washing machines should usually open the door within 1-3 minutes after the end of the washing program. If the lock is closed and the door remains locked, then it is a sign of a malfunction. First, there is a chance that there is some water left in the drum. Even if you don’t see the water through the door glass, it may still hide at the bottom. This small amount is enough for the water level sensor to block the door. Secondly, the door of the washing machine may be blocked due to the failure of the machine cover lock. The most common cause for that is a regular wear. If the lock does not work, then you will need to either repair it or replace it with a new one. 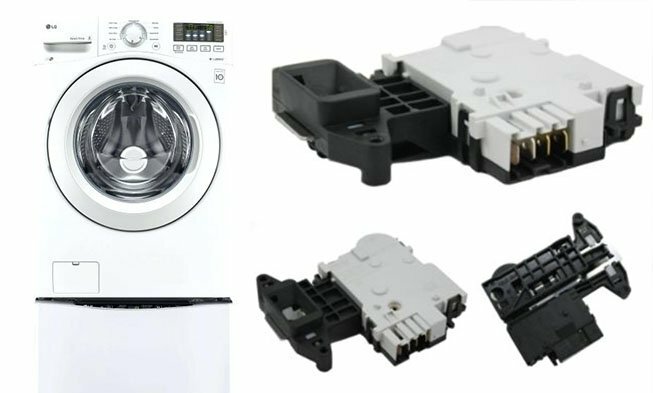 Thirdly, the failure of the water level sensor or module can make the washing machine lock the door. If your washing machine is blocked, then you can try to set another rinse and spin program separately. In some cases, this trick may help. If, after running these programs, the washing machine still does not open, try to disconnect it from the power supply and plug it in again after 10 minutes. Alternatively, you can remove the plastic cover at the bottom and look for the emergency opening string at the corner (most often, it is painted orange). If you pull it, the washing machine will open the door. If there is no such string, then usually it will require you to disassemble the washing machine in order to open the doors from the inside.